As the Official Recruiting Partner for USA Today High School Sports we talk with college coaches every week. We know exactly what they want in a college recruit. We can absolutely help you find a track and field scholarship. 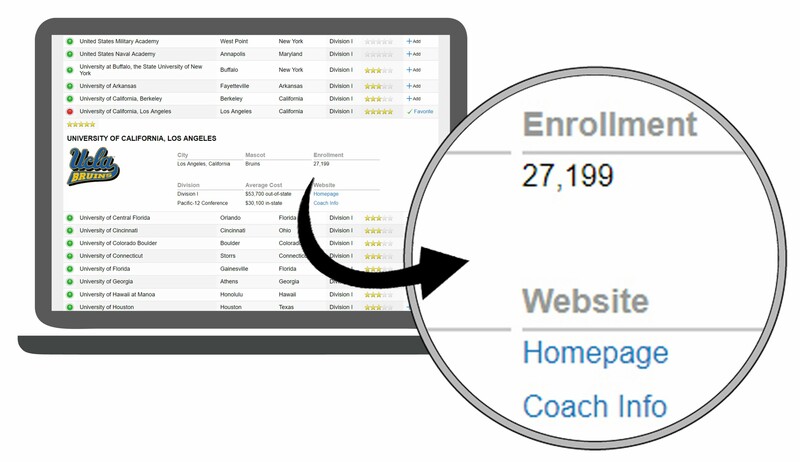 Create your Free Online Player Resume and the Playced Track and Field Recruiting Software will help you identify the colleges where you have the best chance be recruited. Our Recruiting Software makes it easy to identify the right colleges, our communication platform simplifies the college recruiting process and our recruiting advisors are the best in the industry. That is why we can offer a money-back guarantee. Take the first step to earning a track and field scholarship by creating a Playced Player Resume and then you can use our software to run the recruiting process on your own, or sign up for a custom plan and we'll help every step of the way.